It’s no secret that increasing a home’s energy efficiency will save homeowners on their energy bills, but a new study shows that energy efficient homes are better mortgage investments. A report titled “Home Energy Efficiency and Mortgage Risks” found that homes with lower HERS Index Scores* were determined to be low mortgage default risks. It also found that Energy Star labeled homes, rated by a certified RESNET Home Energy Rater, had a 32 percent lower risk of mortgage default compared to non-rated homes. This study is important because connecting lower HERS Score to lower mortgage risk will help to build confidence among consumers, lenders, agents and appraisers. These findings will help the mortgage industry rationalize the underwriting process to take energy savings into consideration in mortgage loans. Does this mean you'll get a better mortgage rate if your home is energy efficient? Maybe. But improving your home's energy efficiency can't hurt - and you'll enjoy lower energy bills and improved comfort. Ask your local Building Energy Pros Affiliate about the best ways to improve your home's energy efficiency and improve your home's HERS Index score. 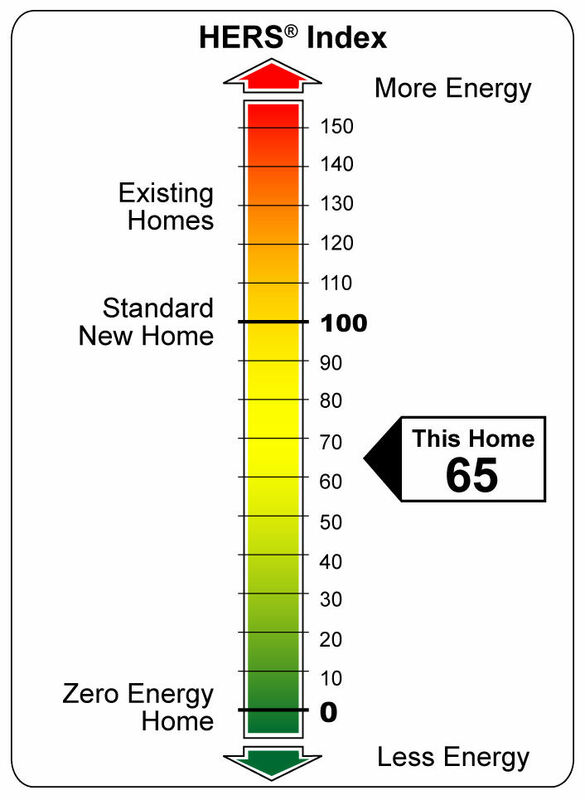 * The Home Energy Rating System (HERS) Index was developed by RESNET (Residential Energy Services Network), and is the nationally recognized system for inspecting, testing and calculating a home’s energy performance.